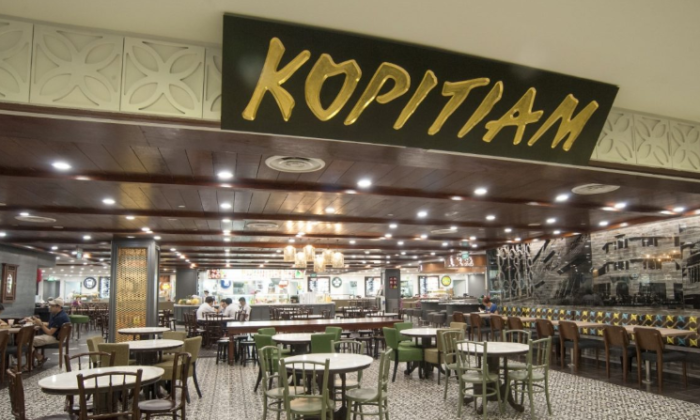 The Competition and Consumer Commission of Singapore (CCCS) has called for a public consultation to gather feedback on whether the proposed acquisition by NTUC Enterprise of Kopitiam, and its subsidiaries, will infringe competition in Singapore. The section 54 of the Competition Act (Cap. 50B), prohibits mergers that have resulted, or may be expected to result, in a substantial lessening of competition within any market in Singapore. In response to the call for feedback by CCCS, NTUC Enterprise said that it overlaps with Kopitiam in two markets such as the sale of cooked food to individual consumers in quick-service eateries, as well as the rental of stalls to food vendors located within coffee shops, food courts and hawker centres(also known as “street stall”). NTUC also said that its proposed transaction will not “give rise to anti-competitive effects” in both markets, given the multitude of suppliers of cooked food in quick-service eateries as well as street stall operators. “Barriers to entry and expansion are low since obtaining the necessary operating licences is not unduly onerous and upfront capital expenditure will become lower over time as the food services industry adopts technology and innovative practices,” it added. NTUC Enterprise explained that new entrants or existing competitors will have it “easy” to enter or expand into the market quickly with URA’s development plans in commercial precincts and housing estates in Singapore. It also added that customers in both markets would have “low switching costs” as individual consumers have various choices of providers of cooked food sold in quick-service eateries within walking distance. Meanwhile food vendors are “generally indifferent” to stall location as they look for competitive rental terms and if there is sufficient consumer traffic. Through the proposed acquisition, NTUC Enterprise aims to create a “more efficient” business with cost and operational synergies. According to the firm, the enlarged scale will enhance its ability to optimise its mix of food offerings across its outlets while enabling a better value proposition when it bids for new site at better rates and securing rental terms for tenants. In addition, it said the cost savings generated would improve its ability to deliver quality and affordable cooked food more efficiently and on a much larger scale in Singapore. NTUC Enterprise also aims to re-channel the cost savings to invest in research and development, new technologies and innovative in-store practices in a bid to improve the value to food vendors and deliver a better dining experience for end consumers. Members of the public can provide feedback between 1 to 12 October 2018 through the CCCS website. The proposed acquisition first came around a week ago. NTUC Enterprise also said that the transaction is expected to be completed by the end of 2018, subject to certain regulatory approvals and other customary conditions. It added that following the completion of the transaction, NTUC Foodfare and Kopitiam will continue to operate separately, with its respective management teams and employees remaining in place. Customers, employees, stall tenants and other stakeholders are assured that business will continue as usual, the statement read. Singtel's growth rate for the year is now at high single-digits, as some of its programmatic customers "deferred" their spend. .. Meanwhile, a recent survey by UOB, EY and Dun & Bradstreet found that almost seven out of 10 Malaysian SMEs thought automating and..
McDonalds Philippines launched a new game app via Mobext which, ironically, encourages people to leave their beloved mobile device..